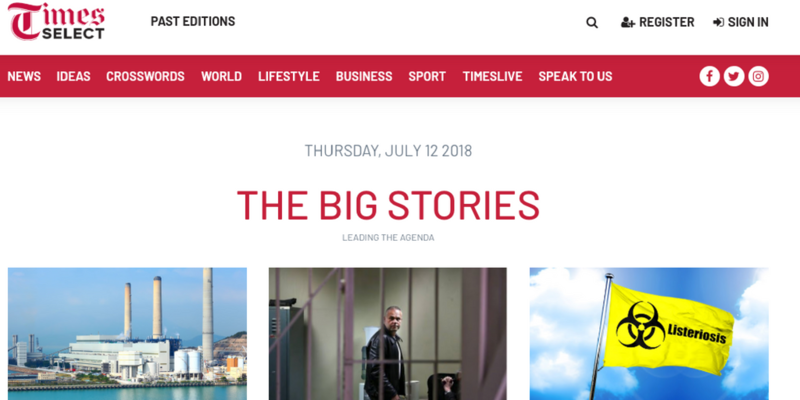 Recently the team at Tiso Blackstar Group launched the first digital-only edition in South Africa, Times Select. Currently available online only, the app version will be launched later this month, coinciding with the launch of their paywall. 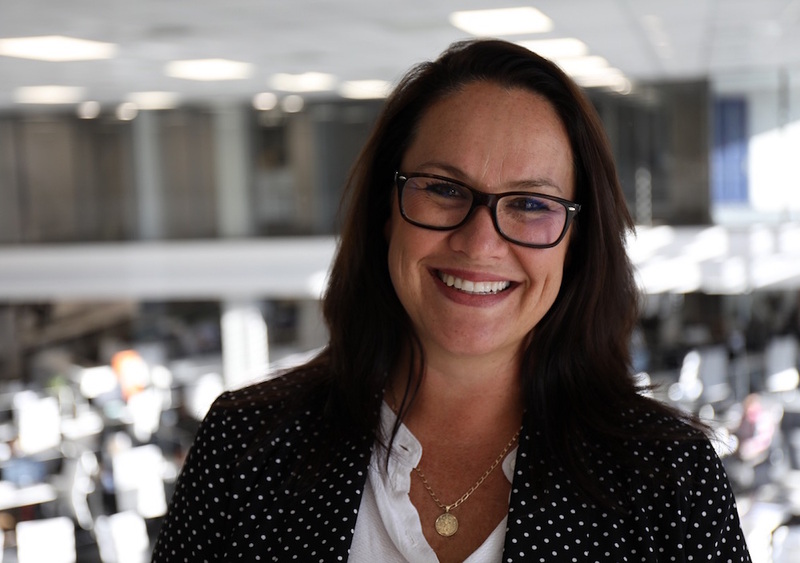 We spoke with Lisa MacLeod, Head of Digital and the first female Vice President of WAN-IFRA, to understand what motivated the creation of this new product and what lessons they’ve learned along the way. This interview has been slightly edited for clarity and length. Why did you decide to go with the edition-format for Times Select’s digital product? The background of us launching this product is that we closed a daily newspaper called The Times, and promised subscribers we would replace their daily newspaper with a digital only product. At the time we weren’t sure of the format, but we went into a huddle and came up with Times Select as a concept: one edition a day, released at 5am, between 20 and 25 stories daily, and featuring the same tone and style as the newspaper – but with added digital extras like galleries, videos and podcasts. Credit to our editorial director Andrew Trench, Times Select Editor Fienie Grobler, and our product team led by Percy Goetsch who put together a team and pushed the product live in literally a few weeks. There is nothing else like this in our market, so we are really proud of it. We did a lot of research and discovered the emergence of the digital edition as a trend. We had been watching La Matinale and Espresso for some time – loved the idea of a subscriber product that curated a single dose of news a day, and clearly their success indicated a market for distilled news. The model we emulated though was Spiegel Daily: loved the design, the anchor tags and the format, so that’s where we settled. How have readers responded to the edition-based product? Amazingly well. We have attracted very good numbers, the newsletter sign-ups have been excellent – pretty much based on our projections. However, we did market research ahead of us launching the paywall later this month, and the results were incredible. The level of satisfaction with the product is in the high 80% + mark, with some minor issues we are addressing. One of those was the lack of crosswords, which we have now added (Quick and Cryptic which you can do online or on your mobile, or print out if you prefer) – and the readers are delighted with them. Also, the payment level readers were comfortable with was about 30% higher than we expected. So there is not only a market, but a definite propensity to subscribe to products of this nature. About 30% of the registered readers are people we have never had in our ecosystem before – they have not been digital or print subscribers or registered on any of our other online sites. So that’s also a really good result. Do you look to any other edition-based publishers as inspiration or to learn from? As I mentioned before, La Matinale, Espresso, and Spiegel Daily. However, we are also looking to the other examples listed in the Twipe research paper Reinventing Digital Editions – and think some of the other formats (Handelsblatt, Tamedia’s 12 etc) would work brilliantly for some of our other products. We have a large and very varied audience online and we want to experiment with new ways of reaching them. The irony is that a digital edition fulfils the same needs as a newspaper – it is concise, curated and a finite read with a good dose of serendipity. Readers – especially of a certain age – love the regularity of delivered news, and they will pay for our editing ability, as well as the actual content. News online is not only about volume, it is more nuanced than that. What advice do you have for other publishers interested in creating new digital-only editions? Pay attention to readers. They wanted crosswords, we gave them crosswords. They love them, and so many people have written to say they have cancelled other subscriptions because of this facility. Thank you to Lisa MacLeod for making time to answer our questions and showing how publishers are succeeding with edition-based publishing. Later this month we will publish an article on editions in the US, sign up to be sent an early copy. This entry was posted in Industry news and tagged Digital Growth, Digital publishing, Digital Strategy, digital subscribers, edition-based publishing, Reader Engagement. Bookmark the permalink.